For this special highlight in our final highlight series this month, we have a collection of five “minimals from the belly of the beast” by the writer Deniz Utlu, translated by Aotearoa Affair contributor Katy Derbyshire. In his piece, Deniz imagines what Berlin might be like in the year 2048, without the migrants who make the system work, and he takes issue with the fact that he and others are labelled from birth as people with a “background of migration” — while still conjuring up a utopia free from associations. 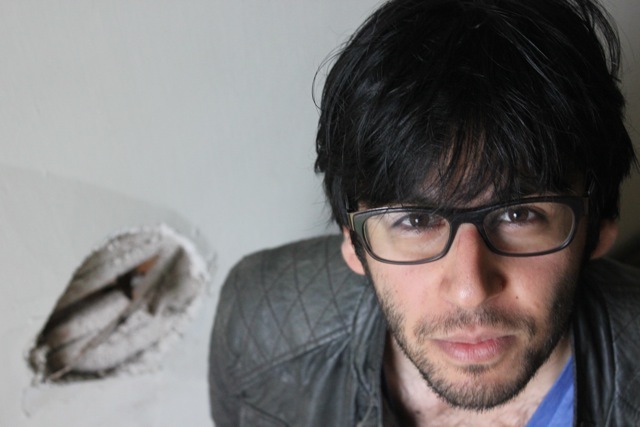 Author Bio: Deniz Utlu, born in Hannover in 1983, studied in Berlin and Paris. He is now a freelance writer in Berlin, where he edits the magazine for culture and society “freitext” and curates various literary events series. His work has been published in various magazines, newspapers and anthologies, including the high-profile Manifest der Vielen, ed. Hilal Sezgin. His play Tod eines Superhelden premiered at the Ballhaus Naunynstraße in 2011. Translator Bio: Katy Derbyshire is a London-born literary translator who has been in Berlin since 1996. She translates various contemporary German and Swiss writers, including Inka Parei and Dorothee Elmiger, Clemens Meyer, Simon Urban, Helene Hegemann, Sibylle Lewitscharoff and Tilman Rammstedt. Katy writes a blog about German-language literature by the name of love german books. Perhaps it’s really only seven seconds. We see the light of the world. We’re naked. Not black, not white, not workers, not professors, not clever, not stupid. No back-ground of mi-gra-tion. We are. For seven seconds we are. Seven seconds of silent being, seven seconds free. A doctor holds us in his hands, a midwife, a nurse, a mother. They look at us. They speak to us. They hand us on. Even the first gaze that meets us, the first touch, tells a story. And the fall begins. There was a time, a tiny time before. Before the fall. How did it feel? How long did it last? Two seconds? Seven? A day? How long did it take before it was normal, before something was different? Everything gets a name, everything gets a time. The thirtieth year. Put your napkin on your lap while you eat. Work. By day and by night. Read books. Learn formulae. Make phone calls. Mail. Don’t. Let yourself. Be distracted. Anything. But. That. Always straight ahead, always clear, always thick-skinned. How thick is it after seven seconds? seven years, after seventeen, twenty-seven? Sorting out. What’s needed, what’s not? What slows us down, what speeds us up? What serves as a springboard, what is a burden? Don’t look at where it hurts. That. Might. Distract. You. And. We. Don’t. Want. That. Don’t feel. Don’t listen: how does the child’s breathing sound before the seventh second? I’m driving through Spandau. Here and there, paint flakes off the facades – cement stains are the contours of unknown lands. The streets are quiet. The only sound is the wind. The branch of a tree has broken through a window and grown into the house. A few of the streetlamps and traffic lights have fallen over. The asphalt is cracked where they lie. The few cars on the sides of the roads have broken windows and flat tyres. Crutches, zimmer frames, walkers and tartan shopping trolleys lie scattered, bent, broken and torn on pavements and roadways. Many inhabitants turned their backs on the city. First young families moved to other parts of town, then to other cities and countries. Academics now only taught at overseas universities or in London and Istanbul. Berlin, like Brandenburg before it, was drained of its population. Critical and less critical voices had predicted it. Spiegel magazine, at the beginning of the century, had reported on the brain drain among intellectual migrants, as they were called at that time. There was concerned talk of an over-aging society. Who was to work, produce, to meet the needs of society, as they said, who was to make the pension payments? Politicians proposed raising retirement age higher and higher. Meanwhile, tens of thousands of potential working people hoped to be granted entry, on leaking boats on the Mediterranean – off Lampedusa, for example. Some of them made it to the mainland. A few were allowed to stay. Many drowned or disappeared in inexplicable ways. While the demographic concern grew in the cities, a paramilitary agency was employed to seal Europe’s borders. No entry. I stop on Lynarstrasse behind a Golf VI with deformed tyres. The entrance door to the building – late nineteenth-century – that I’ve stopped outside has been torn off its hinges. I enter the building and walk up a few flights of stairs. An apartment door is open. Two rats are gnawing at a carpet, large patches are already missing. In the back room, a man is sitting in front of a TV. He’s wrapped himself in a blanket, on his lap a cup from which some kind of liquid must have spilled; all that remains is a brown stain. The man’s face: anaemic, white. Barely any hair left. His toothless mouth is open. I lean over and look into his grey eyes. He smells of old age, not of death. It can’t have been long since he died. Perhaps there are still people alive in the other flats, the other houses. No one has stayed here who could check. I make notes, close the man’s eyes. I leave the city. I lived – as we like to say – at the heart of the world, in Berlin. In fact I really did occasionally boost my enjoyment of a coffee-to-go by reminding myself of what an enviable privilege it was for me to lick the foamed milk off my moustache – the foam that had been previously so skilfully poured into the cup that the white dome opened out into a brown heart – in these streets, between these buildings, in this city, in these times when everything was in flux, before I devoted myself to my studies. Yet it was also precisely the time when many of my colleagues and I too were concerned about the intensification of certain continuities in German society, as we put it. Some of my colleagues plunged into the debate with all their energies. Others fell silent. They gave us a name. We accepted it. And so I found myself on the stages of literary venues, on the uncomfortable chairs of discussion panels, watching myself deliver speeches on the small monitors of public television magazine programmes. They counted me as part of a nation that I’d considered a religion. They attacked me. They attacked us. Soon I began to order my coffee without foamed milk, and the heart of the world beat ever louder at me from the heart of darkness. The cat-calls. The cat-calls are still echoing in my ears. Voices. Barely faces. The stage lights were too dazzling for that. Silhouettes. Gestures. Hands rushing forwards as if they wanted to throw something at me. If only something were within reach: a glass, a bottle, a stone. At first I tried to look unimpressed. To carry on regardless. Professionally, as they say. But every sentence I began was drowned out by the noise of the mob. I’d been invited. In front of me: visitors to a literary venue. No. I hadn’t expected this. The cat-calls. The gestures. Not there. Afterwards I got mails. Hate-mails. They wished a whipping on me. Me, a camel-fucker. It wasn’t down to my words, for I hadn’t been able to speak. They had put a gag on me. Friends had already left the country. I stayed for the time being. I believed in it. Despite it all. I believed that speaking would one day be possible. Up against boundaries, it takes creativity to cross them. That’s why new things often come about there, on the margins. The frontier guardians do all they can to combat it. It’s not enough. I’m looking for a third something that’s inherent in everything. Mindland – with a population scattered across the world. Independent of local rites and norms. Of the legacies of our ancestors. A parallel world, a solar system – with its own resources and its own power of definition of what is art and culture, of what should remain. Something that’s invisible and omnipresent. Like a law, defended by a court that is active worldwide, that doesn’t hear proceedings in the courthouses but in attics and cellars. A law that has more validity for the individual than written-down and ratified constitutions defined and obeyed by judges and politicians. A land whose frontiers are impossible to enter on a map because it has no fixed place. Invisible and everywhere at the same time. Unassailable. Immune to any attribution. A land that only stops existing when it’s no longer thought of.